Lakes and Lagoons in Alleppy offers relaxing overnight backwater cruises in Kerala. Soak in some old world charm and enjoy traditional Keralan hospitality as you rest your head in a traditional kettuvallam (houseboat). 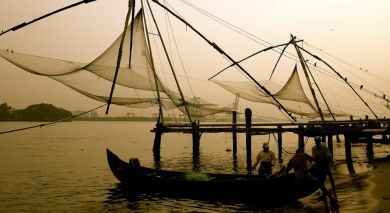 The backwaters have enthralled visitors right from the time of the great explorer, Vasco da Gama. 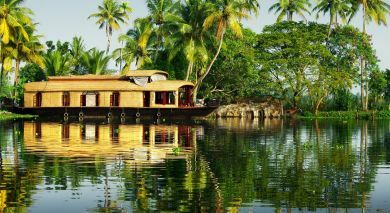 Experience the picturesque backwaters of Kerala cruising in comfort on the Oberoi Motor Vessel Vrinda. 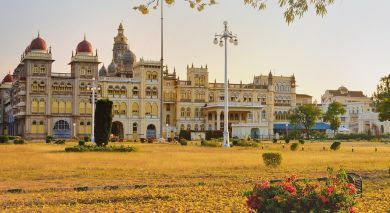 (Only if staying at Oberoi Vrinda) Embark on a 3N luxury cruise on the backwaters of Gods Own Country. 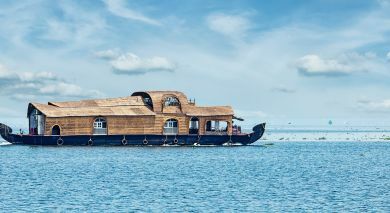 Board the Oberoi Vrinda Motor Vessel at Vembanad Lake’s jetty, settle into your cabins, set sail along the scenic waterways. See sunrises/sunsets; enjoy a Kathakali dance and Vrinda Vadiyam..musical fusion of classical instruments; meet local fisherman; navigate narrower canals on a traditional rice boat; visit old churches, the half-statue of Lord Buddha at Karumadi. Return to Vembanad Lake jetty on day 4, check out post breakfast.